Kensington Publishing Corporation, 9780758253378, 375pp. Bailey Jordan has loved her husband, Brad, since they were ten years old. She's followed him on every adventure--opening a sweater store in Seattle, a cafe in Colorado, a surf shop in Santa Monica. Each time, she's picked up the pieces when things fell apart. But now, it's her turn. Bailey has a successful real estate career in Manhattan, and she's eager to start a family--until a car crash leaves Brad in a coma and changes their lives forever. Awakening after his near-death experience, Brad has a new mission. He buys a lighthouse on the Hudson River, planning to turn it into a B&B. Grateful to have Brad alive, Bailey tries to make his dream her own. The lighthouse is beautiful, but the challenges--renovating, bringing in supplies by boat, navigating the locals and guests--are enormous. And then Bailey discovers a secret in Brad's past that compels her to question her husband, her marriage, and how far she'll go to keep them both. 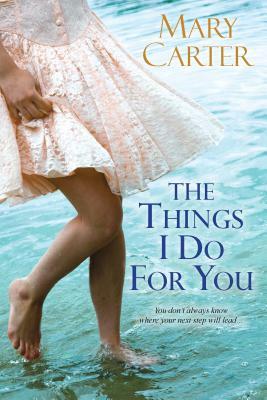 . .
Thoughtful and moving, "The Things I Do for You "exhibits a rare understanding of the joys, compromises, and small rebellions that lie at the heart of every marriage, and of the resilience and surprising power of love. "At once a story about love and loss, family and friends, the world of the hearing and that of the deaf, "My Sister's Voice" satisfies on many levels." --Holly Chamberlin, author of "Summer Friends"
"Gripping, entertaining and honest. This is a unique, sincere story about the invisible, unbreakable bonds of sisterhood that sustain us no matter how far they're buried." --Cathy Lamb, author of "A Different Kind of Normal.